OK. So, there is a big rivalry between Hilo-side of the Island and Kona-side of the Island. 1) It rains. I don’t want to say “too much”, but it rains enough to make it lush and smell like a greenhouse. 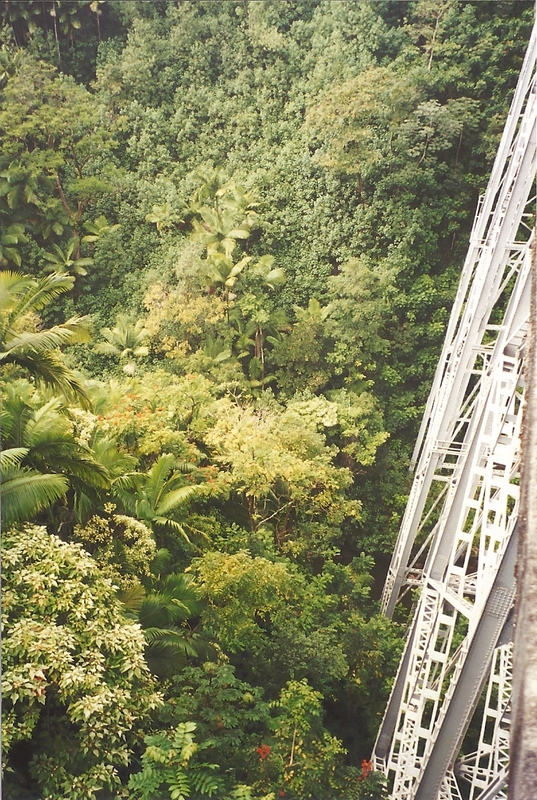 It has amazing waterfalls, vines, rainforests. And, I’m sure locals would tell me otherwise (they always do), but I haven’t seen it rain “too much”. The last time we were there (2 weeks), it rained every single morning – poured, actually. But, around noon, the sun came out and it go really warm, and then the next morning (or sometime throughout the night) the rain would come and cool down the earth again. For me, that’s perfect. 3) There are MANY places to swim/snorkel/surf – they just are a bit off the beaten path and not near as crowded… (There’s more, too, than just that link I’ve included – they may or may not show up in my future blogs (or this one) but 1/2 the fun is finding these places by yourself. 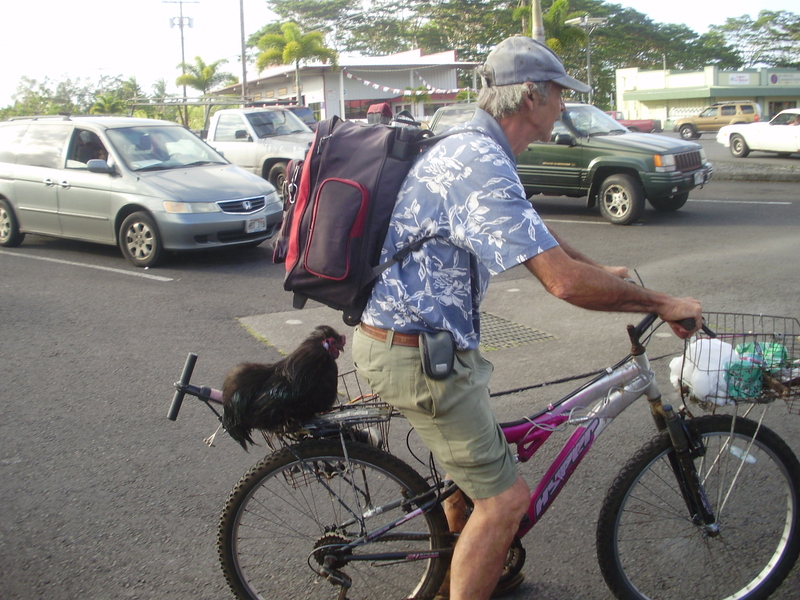 But the REAL reason I love Hilo-side, is because of the “Locals.” “Locals” include actual Hawaiian people, as well as (by way of my definition) people who are not tourists. “Tourists” (by way of my definition) are those people who are travelling (obviously) OR people who’ve moved there, but haven’t really become part of the culture yet. For example, I consider Tom, the Chicken Guy, to be a “local.” Or, a little boy we saw at the beach, who, it seems, lives outside, and looks exactly like I would imagine Tom Sawyer looked – white blonde hair, lightly tanned skin with freckles, and no shoes. 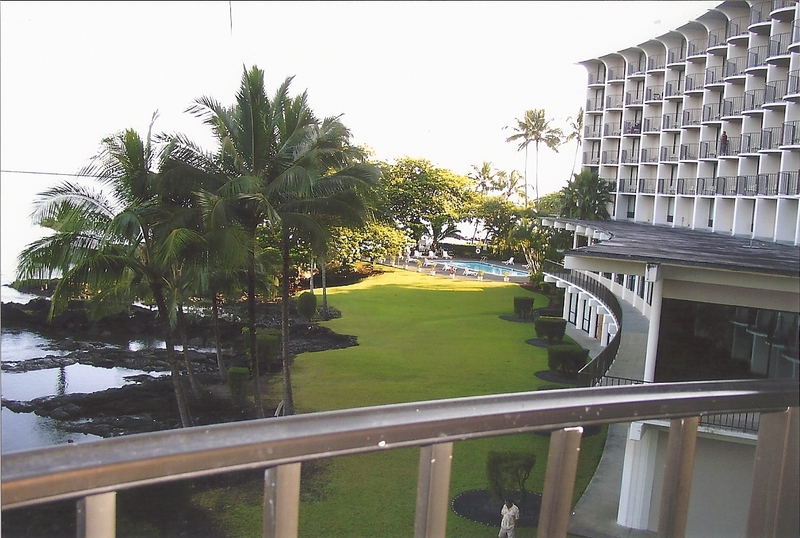 There are very few hotels in Hilo, and the only one I’ve ever stayed at is the Hilo Hawaiian Hotel, right on Banyan Drive, and beside the Queen Liliuokalani Gardens. (We usually rent a Vacation Rental by Owner. 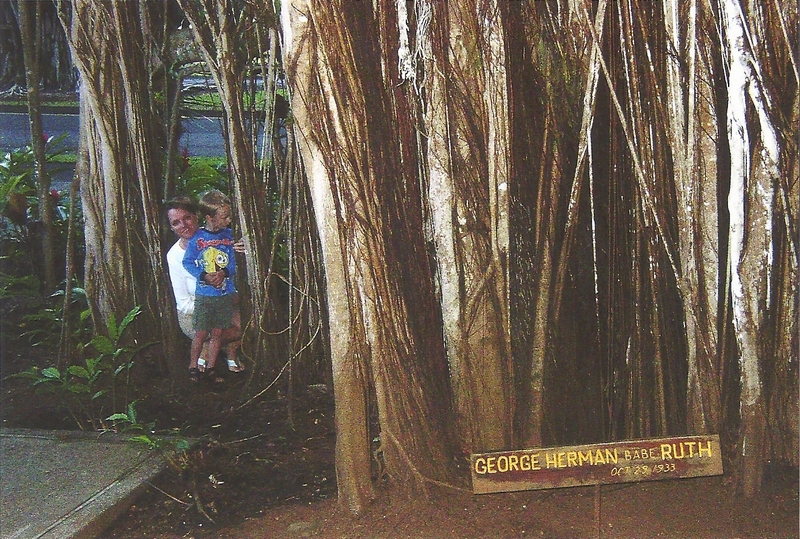 Banyan Drive is known as “Hilo Walk of Fame”, because the Banyan trees along the drive have all been planted by celebrities, including trees planted by Babe Ruth, Amelia Earhart, former U.S. Presidents Franklin D. Roosevelt & Richard Nixon, Dr. Thomas Jaggar, and others. It’s an interesting walk, and just across the street is an ice cream and shave ice stand, so you can have a little break, too – especially if it’s hot out. The Garden is beautiful and last time we were there, we found a paintbrush in one of the trees. You can just imagine someone spending the day, perched in a mango tree, painting the scenery below. Perfect. 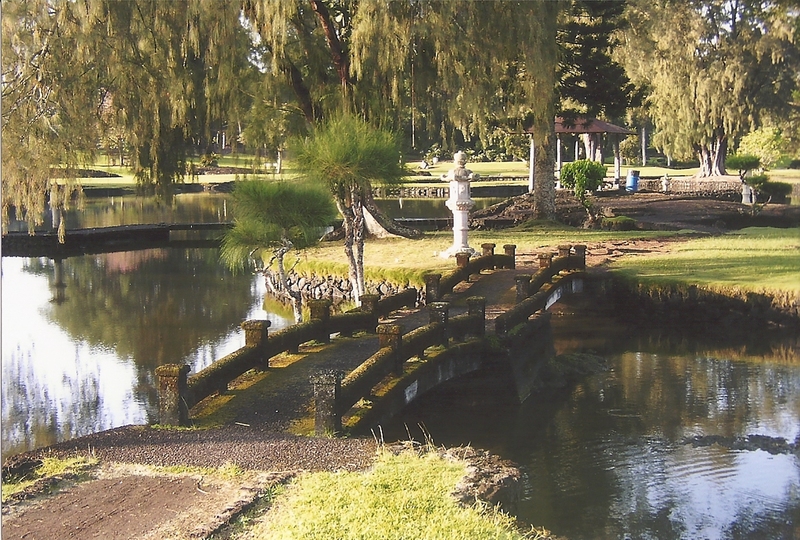 So…I have a LOT more to say about Hilo. I haven’t really gotten started.. But, I have a tiny complication, which I will explain in a couple of weeks, so, I will have to return to this area later. Hilo – to be continued…sometime. 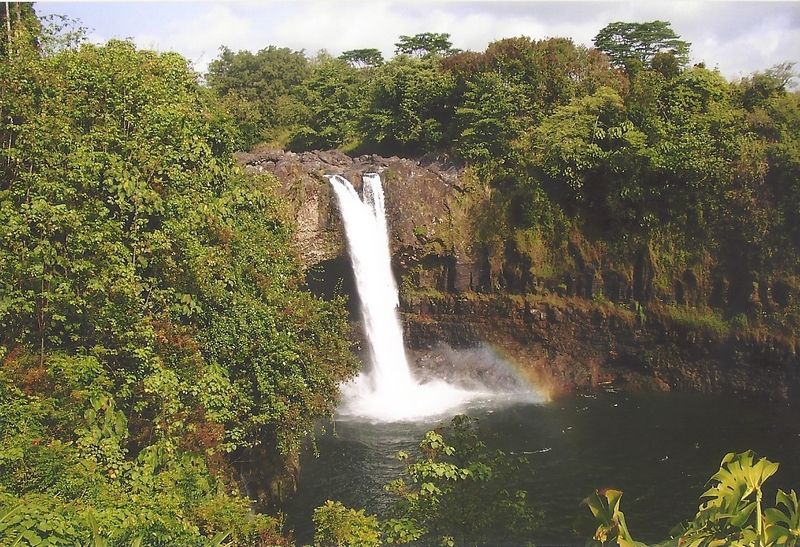 In the meantime, next Sunday, I will be talking about some of the waterfalls.